The small cinnamon rolls first debuted at the fast food chain in 1998. Though this ‘90s breakfast item wasn’t as noteworthy as, say, Crystal Pepsi, plenty of people apparently still have a special place in their hearts for Cini-minis: A petition on Change.org called “Demand Burger King bring back Cini-Minis” that was launched a few years ago has 2,352 signatures as of writing. 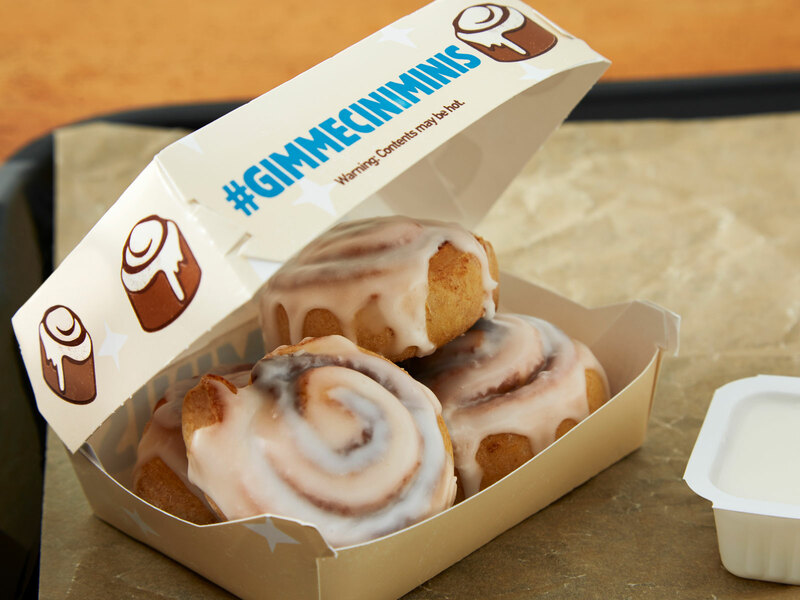 And those 2,352 people are about to have their dream come true: Burger King is bringing Cini Minis back — though the return of the item is exclusively for delivery orders placed through Grubhub. Since the return of Cini Minis is exclusive to Grubhub, fans of the small cinnamon rolls are advised to not leave their house under any conditions if they wish to procure a four-pack! Of course, you also have to live in an area where Burger King is available for delivery through the service. The good news is that Burger King can be sent to your door through Grubhub in 32 states: AL, AZ, CA, CO, CT, FL, GA, IA, IL, KS, KY, MA, MD, ME, MI, MN, MO, NC, NE, NJ, NM, NV, NY, OH, OR, PA, RI, TX, UT, VA, WA and WI. Time to grab your Cini Minis and fire up Super Mario World! Or Sonic the Hedgehog. I don’t judge.